There are more than 4,000 species of cockroaches worldwide. The most common species and the ones that you might see around your home are the German cockroaches, the American cockroach, and the brownbanded cockroach. These resilient insects are generally looked upon as being dirty and for good reason. Cockroaches can rapidly spread germs and bacteria and can trigger allergies and asthma. The fact that they can run three miles an hour makes it even easier for them to spread bacteria quickly throughout a home. Although roaches are found in every state in America, they are most prevalent in Texas and Florida. A cockroach can live for a week without its head. This is because they have an open circulatory system, and they breathe through tiny holes in each of their body segments. They don’t need a head or a mouth to breath. A roach dies of thirst only because it can’t drink. A baby cockroach is as small as a tiny speck of dust but can run as fast as its parents. Cockroaches are cold-blooded and can live without food for up to a month. However, they can only live without water for one week. Cockroaches can hold their breath for up to 40 minutes and survive being submerged in water for thirty minutes. Cockroaches are truly adaptable creatures which makes eradication a bit tricky at best. Like any other insect problem, prevention should always be the first thought. 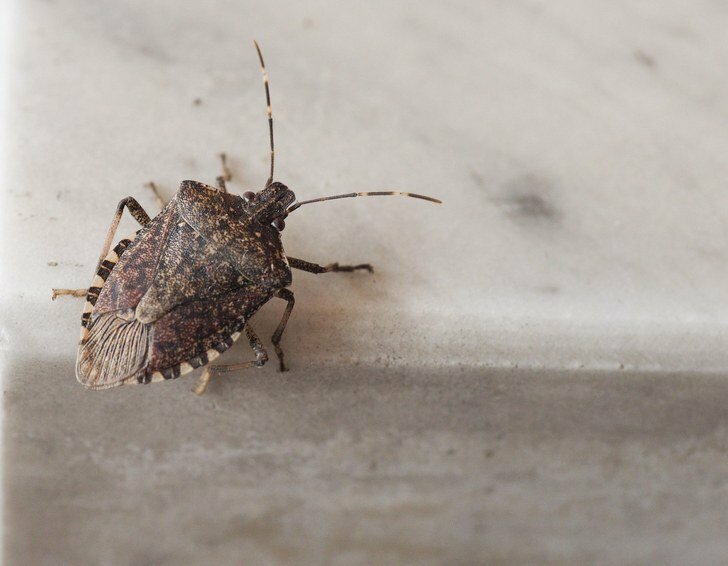 Here are some ways to prevent cockroaches from becoming a problem in your home. Check doors and windows but also check cracks in your floor, baseboards, cupboards and any other opening. People who live in an apartment should check any holes between other units as roaches can move from one apartment to another. Once you check for cracks be sure to seal them to keep roaches out. Use weather stripping around doors and windows and be sure to caulk all cracks in floors etc. Roaches, like any other animal, need food and water to survive. You are far less likely to have a problem with roaches when your home is clean. This is especially true in areas of the house where there is food such as the kitchen and pantry. Be sure to clean your counters and table after eating. Don’t leave unopened food on the counter or in your pantry. Use airtight canisters and zipper bag to keep food sealed. Vacuum and clean under appliances regularly to minimize food particles that might draw roaches. Don’t leave standing water in your sink and be sure to clean up any liquid spills immediately. Keep your trash cans as clean as possible and empty them frequently. Use cans that have tight-fitting lids. You may have opened a trash can late at night only to find a cockroach or two munching on scraps. These sneaky pests are notorious for showing up where scraps of food have been left. As quickly as you spot a cockroach, however, they tend to disappear. Here are some of the places they may be hiding. Nooks and crannies: These are those tiny spots in your foundation or walls, near windows and doors. This also includes cracks in the grout between bathroom tiles. Roaches are sneaky and will hide out in these teeny spaces until nighttime when they go searching for food. Holes: Holes in walls and drywall not only provide an entryway for roaches into your home but are especially attractive hiding spots. Some types of cockroaches carry sacs filled with eggs called ootheca. They can carry dozens of larvae at a time and drop the sac in a safe place after a few days or when the eggs are close to hatching. Eggs may be left in cracks and crevices along baseboards, in between bathroom tiles or in the kitchen cupboard and even under furniture. You can generally spot a cockroach nest if you find tiny droppings, that look like pepper, on the floor. The good news is that you don’t have to turn to expensive or dangerous chemical products to run cockroaches out of your home. Here are some simple, cost-effective home remedies to get rid of cockroaches in your home that really work. Roaches hate the smell of peppermint oil that acts as a natural insecticide to not only keep roaches at bay but also to kill them. Make a mint repellent by filling a spray bottle with water and adding twenty drops of peppermint oil to the water. This spray is 100% non-toxic and safe to use around pets and children. Spray frequently in areas where you know that roaches are hiding. Known to be one of the best home remedies for roaches, this bay leaf spray will have roaches in your house scurrying for the door. To make this repellent, simply crush a handful of bay leaves and leave them near corners and cracks where roaches might be hiding. You can also put a handful in the bottom of trash cans. The fossilized bodies of tiny aquatic creatures known as diatoms make up what is known as diatomaceous earth or DE for short. The total nontoxic substance is abrasive and when cockroaches come in contact DE it dries out their outer layer. Be sure to use only food grade DE which is safe in the home. To make DE attractive to roaches, add some sugar to it. Apply a generous layer of DE in cracks and other places where you know roaches may be hiding. As innocent as it is, simple kitchen baking soda is a powerful roach killer. Baking soda is a leavening agent used in baking – this means that when it comes in contact with water it expands. Mix equal parts of baking soda and sugar and sprinkle it in corners and along baseboards. The sugar will draw the cockroach and when it consumes the substance it will die. This mouthwash is good for more than making your breath fresh. Listerine contains menthol, which according to research is a powerful roach killer. When compared to 86 other essential oils, menthol came out on top. To make a mouthwash spray, mix 4 ounces of Listerine in a gallon of water and spray around your home. Suffocate roaches with a mixture of water and soap. This method is highly effective on German roaches and crickets. To use, combine 4 tablespoons of liquid detergent with 4 cups of water. Spray as needed where roaches hide. This medicinal plant interrupts the cockroach life cycle. It reduces the rate of reproduction and reduces the number of fertile eggs. Crush a handful of neem leaves to make a paste. Put the leaves in 4 cups of water and fill a spray bottle. Spray in corners, cracks and damp areas. This trapping method uses the sweet aroma of bananas to draw roaches in. To make the trap, spread a generous layer of petroleum jelly inside an empty jar. Put a banana peel inside the jar. Place the jar in areas of your home where you have seen roaches. This works great in bathrooms, pantries, and kitchens. At night, the roaches will make their way to the jar because of the banana and once they climb in, they won’t be able to get out. To kill roaches, put the lid on the jar and put the jar in the freezer for a couple of days. Hairspray is sticky and once roaches get stuck on it they are stuck for good. Hairspray is great to spray directly on roaches as you see them move. It will stop moving immediately. Follow the hairspray attack with a spritz or two of soapy water to finish off the pesky insect. The essential oil, thujone is well known for its potent insect-repelling properties. In addition to being effective on roaches, it can also repel termites, moths and carpet beetles. You will enjoy the pleasant aroma that cedar provides for your home. Position pieces of cedar around your kitchen and in other places where you have seen roaches. Change the pieces out every three weeks or so for best results.